Anyone can become wealthy that is willing to follow the basic principles of industry and frugality; the two main pillars that stand the frame of prosperity. This is the core message of Growing Money Trees. In the series of What I Want My Child To Know, this book is the third. It comes in six reader-friendly chapters. Each chapter begins with a key message; a success principle you need to know, then the steps you must take, and finally a call to action. Dean of Law, University of Ibadan, Nigeria. In the world, as it is today, only a few are cashing in on the God-given power and desire for man to prosper. One can identify three groups: those who have discovered the secret of wealth, correctly applying it and making money; those who have the secret but lack the wisdom and capacity to appropriate it to great advantage and those who have not discovered the secret at all. 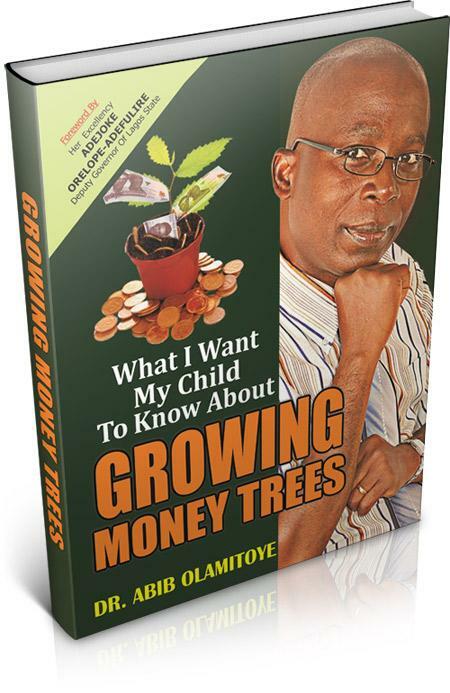 Growing Money Trees addresses all the groups: how to maximise, appropriate and discover the opportunities to make money. In this remarkable book, the language is simple, the discourse and prescriptions are easy to follow and understand. It is, without doubt, a book for all ages and classes.